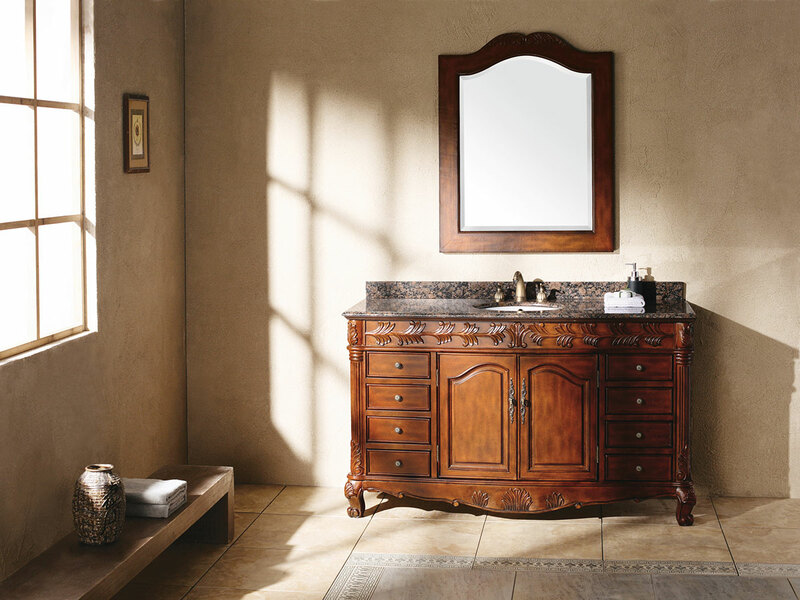 The 60" Parlero Single Bath Vanity offers a traditional look with a brown cherry finish. Wood carved details can be found on the legs, columns, and clawfoot legs. These details give the vanity depth and character that set it apart from the rest. It is constructed with kiln-dried hardwoods for superior durability. 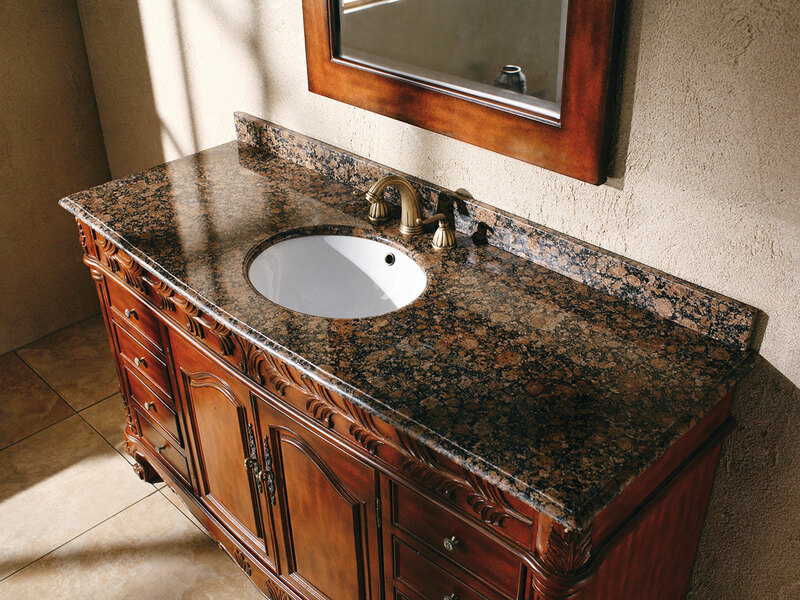 The countertop and backsplash is Baltic brown granite with a white porcelain undermount sink. 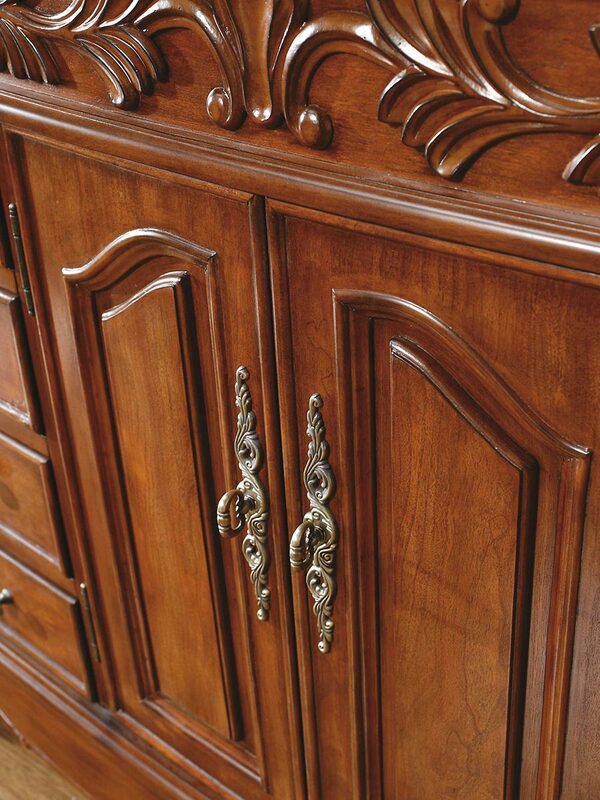 The cabinet features two doors and eight drawers, which give you tons of room for storage and organization. 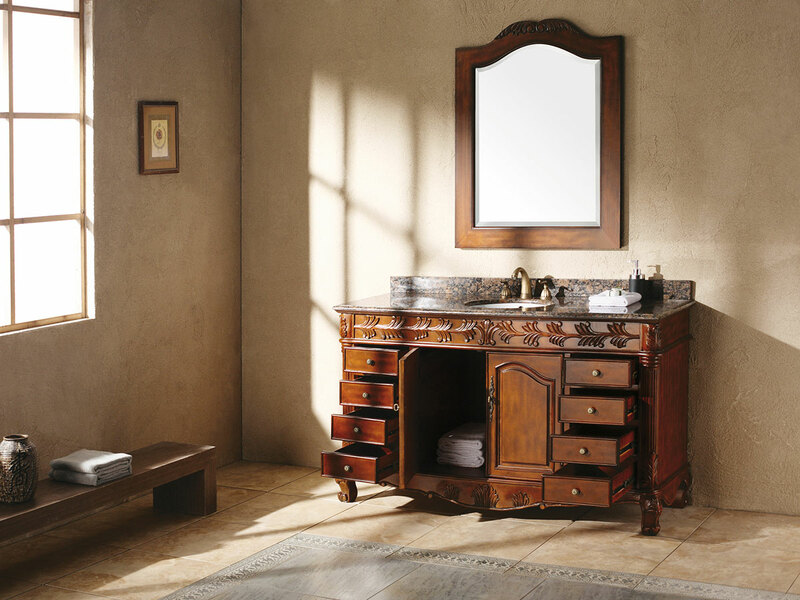 Optional matching mirror is available to complete the look of your bathroom. Faucets sold separately.